Now my Dad has never been a drinker. He likes the odd pint of lager but I don’t ever remember him drinking a whole glass of wine. A sip and a grimace definitely; a glass, absolutely not. This Xmas things have certainly taken a turn. Whether its for better or worse really depends on your perspective! Dad has got interested in wine since I started writing the blog. This is great as I appreciate his support… But his interest is real! When we talk on the phone the first question he asks is about something he’s read in a post and he’s forever sending me photos of wines to ask if they’re any good. But he still doesn’t like the stuff. Or he didn’t… Until I took him a case at Xmas. I took a few of my favourites from the past few months and he loved them. So much so that when the fifth bottle was finished (there were 4 of us and it was Xmas!) out came a bottle of Echo Falls Merlot from the cupboard. And his reaction? “I’m not drinking that sh*t; its thin and tastes of vinegar!” I am so proud of him! 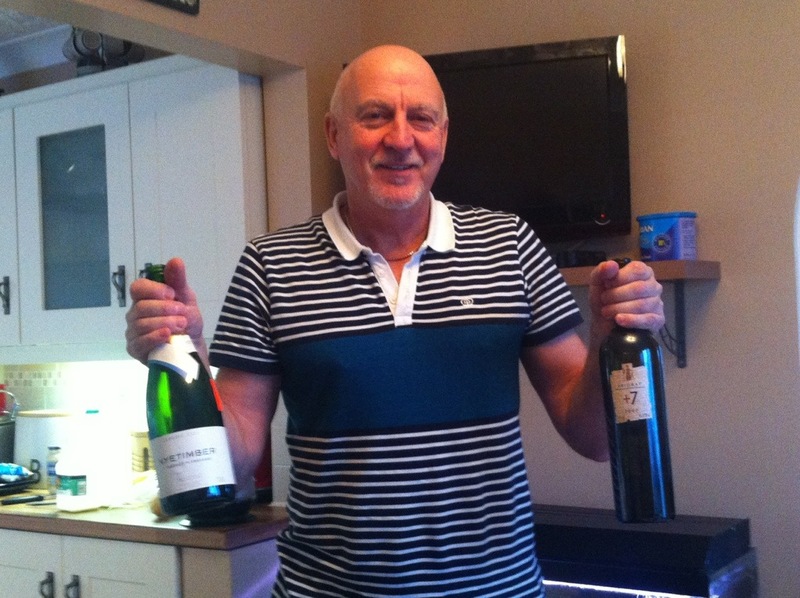 Here are the wines we drank – Dad asked not to be quoted so my reactions will have to do! We didn’t get to the bottle of Sauternes so I’ll get back to you on that one!